Monday's game rescheduled for 1 p.m. Tuesday. On Wednesday night, Nats Park held the 48th Annual Roll Call Congressional Baseball Game. In the wake of a deadly shooting at the nearby Navy Yard, the Washington Nationals have postponed their scheduled Monday night game until Tuesday afternoon. 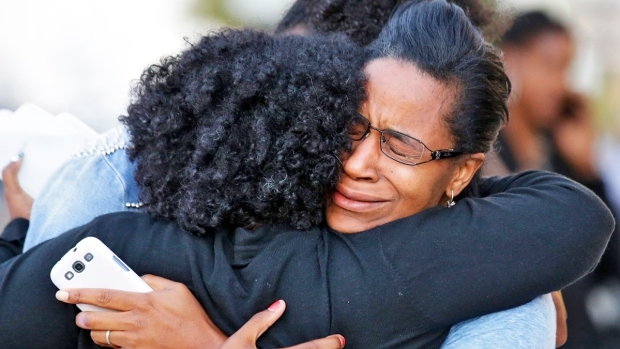 The Navy Yard shooting left at least 13 dead. The investigation into the shooting shut down roads and bridges in much of Southeast Washington, where the Washington Nationals Stadium is located. The Nationals moved the showdown against the Atlanta Braves until Tuesday at 1 p.m. The U.S. Senate buildings and several schools in the district were also placed on lockdown Monday afternoon. The stadium's close proximity to the shootings has made it a useful tool for police working to reunite families with those affected by the shootings. The majority of victim and survivor families have been told to wait in parking lot B of the stadium. "All of us here in the Nationals organization were deeply saddened to learn of the tragic events that occurred this morning only a few blocks from Nationals Park... In light of the circumstances, we have decided to postpone tonight's game against the Braves. Additional information will be distributed in the coming hours." As of Monday afternoon, gates were to open Tuesday at 10:45 a.m. for the rescheduled game. The Nationals tweeted Monday those with tickets to Monday night's game can use them toward Tuesday's 1 p.m. game or any other 2013 regular season home game. "On behalf of the Nationals, the Braves and all of our Clubs, Major League Baseball mourns those who have been lost to this senseless tragedy, and our thoughts are with all those who have been affected. Under these circumstances, the appropriate action is to postpone tonight's game in Washington. 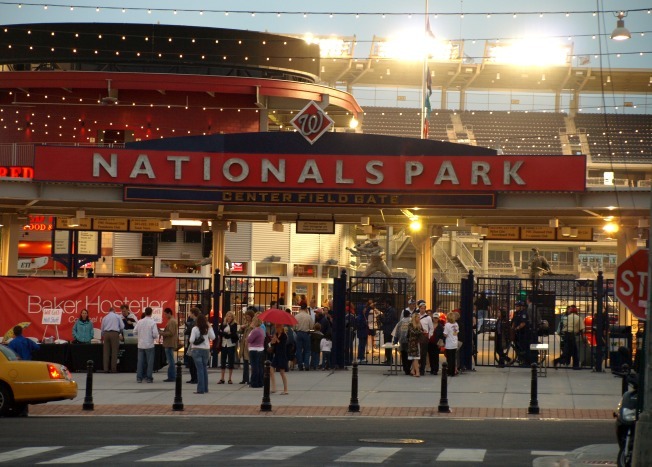 "Major League Baseball's Security Department will continue to track this matter in consultation with the Nationals and under the guidance of the local authorities."